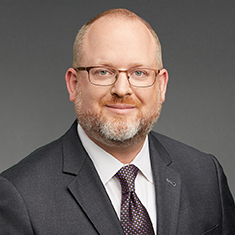 Brooks T. Giles is co-head of Katten’s Mergers and Acquisitions practice and concentrates his practice in corporate matters with a focus on private company mergers and acquisitions, venture financing and joint ventures. He handles transactions covering the life cycle of start-up ventures, from angel round financings through Series A-F rounds and beyond, up to and including, IPOs. Brooks represents both buyers and sellers in structuring, negotiating and documenting acquisitions including stock purchases, asset sales, tax-free mergers and leveraged recapitalizations. Much of his practice focuses on representing private equity companies in purchasing privately owned businesses. Brooks also advises equity investors making investments in high-growth and entrepreneurial businesses. Brooks manages public and private corporate finance transactions including private placements, registered and 144A debt offerings and registered equity offerings. His public company experience includes mergers, tender offers, hostile proxy contests and general corporate advice, including poison pills. He represents clients in industries such as health care technology and services, including physician groups and ancillary and outpatient services, insurance, food manufacturing and distribution, and industrial manufacturing, software and technology. Brooks is co-author of the book Stockholders’ Agreements Line by Line: A Detailed Look at Stockholders’ Agreements and How to Change Them to Meet Your Clients’ Needs (Thomson Reuters/Aspatore Books, October 2011). Shown below is a selection of Brooks’s engagements.